The FDIC maintains what it calls the “problem bank” list. Before the “Great Recession” of 2008, the list was relatively small with no more than 100 banks making the list. Since 2008, the list has grown to unbelievable length — 651 at the end of 2012, representing over $230 billion in deposits. Given that number some individuals have decided to invest in gold as a hedge against bank insolvency. So let’s talk about how bank insolvency occurs, how it can affect you and what your options are. “Insolvency,” is a fancy term for bankruptcy — meaning that the bank’s debts are greater than its assets. However, it is possible for an insolvent (or bankrupt) bank to recover over time if they earn a higher rate on their assets (e.g. loans) than they must pay on their liabilities (e.g. customer deposits). Over a few years the profits earned can be enough to cover the debts without any outside intervention. What happens when a bank becomes insolvent? Clearly, an insolvent bank can cause financial problems for customers and businesses that have entrusted their funds to the bank. When banks become insolvent, teams of government representatives and regulators — often led by the Federal Deposit Insurance Corporation (FDIC) — step in to take over the insolvent bank. Sometimes banks will be restructured, other times sold. Keeping the bank open and operating with minimal disruption is a top priority. If the team of regulators and representatives fails to quickly and quietly recover the bank, customers may begin to panic resulting in a bank run. Since deposits are generally insured, at least up to a certain amount, people do not need to worry about retrieving their funds. However, a domino effect can occur with both large and small banks failing, especially if people stop paying off debts in addition to pulling out their deposits. This creates a banking panic from which widespread financial turmoil may result, as was seen after the bank runs during the Great Depression. How likely is this to impact you? It’s difficult to say, but keep this in mind: In normal economic conditions, a dozen banks may fail in any given year. We already know that a few failing banks do not impact the economic system as a whole but each additional bank that fails can tip the balance. What if your bank fails? Are your deposits safe? It’s worth learning about the basics of investing in physical gold as a hedge against bank failures. 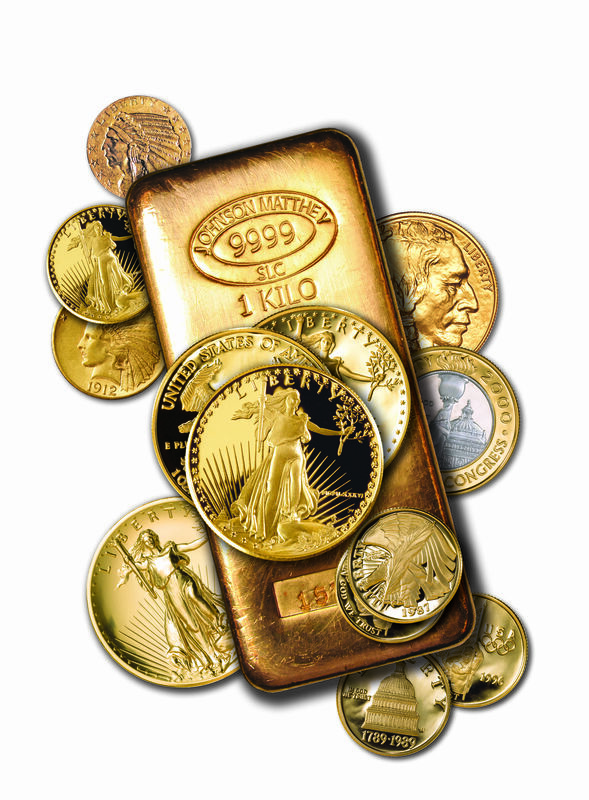 Buying physical gold means you own your financial assets and you keep them safe either at your own home or in a safe deposit box. Gold is an asset you can hold in your hand, so if your bank fails, you have what you could call a gold insurance policy. Remember, those 650 problem banks — 9.2 percent of U.S. banks by the way —with over $230 billion in deposits? At the same time, the FDIC, the government agency that protects your deposits, had only $33 billion in its insurance fund. With more banks inevitably on the brink due to bad loan portfolios, some people believe buying gold or silver might be a smart way to limit your risk. This entry was posted in Gold, How to buy Gold, Silver, The Economy, The Gold Market and tagged bank failure, bank insolvency, buying gold, FDIC, physical gold. Bookmark the permalink.